In fact, it was this very question from our founder, Jane Trygar (who’s family ran a bakery) asked when she found out she had celiac disease many years ago. Thanks to Jane’s baker husband (who worked for her dad), they were able to create the perfect blend of gluten free flours and other ingredients to bring you what many consider to be the best gluten free bread options, Three Bakers Gluten Free Bakery. If you’re asking yourself this question, we’d like to break down a few options to help you decide which is right for you . it very well may be ALL of them! Ancient grains, including Flax, Quinoa, and Millet give this bread a great texture and subtle flavors. It’s a great source of whole grains and an excellent source of fiber. Plain or with your favorite meats, our 7 Ancient Grains bread combines the goodness of old style whole grain and a soft texture that many Three Bakers customers love. 7 Ancient Grains is one of our most popular flavors! This bread, like all our breads, is whole grain and an excellent source of fiber. Additionally, it is made with all non-GMO ingredients. Makes a great sandwich without toasting. But, toasting really enhances the flavor of the seeds. Great Seed really elevates a sandwiches flavor and nutritional value. The staple bread for every gluten free household! 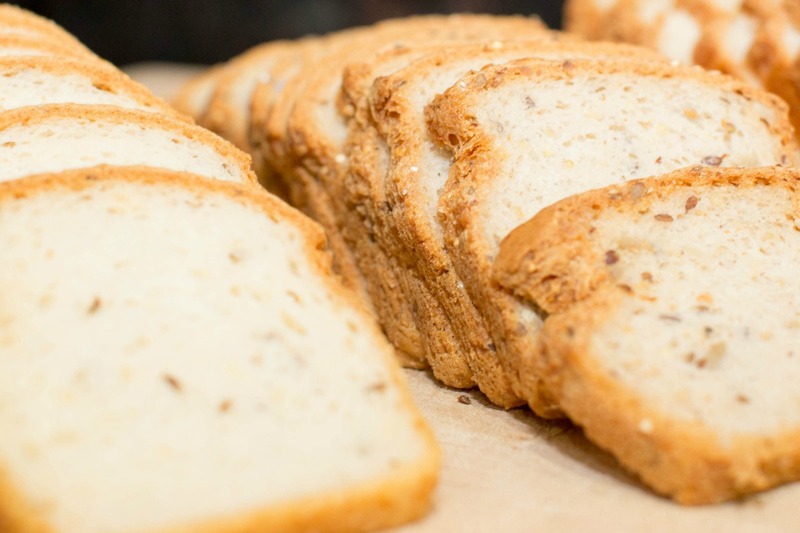 Our traditional gluten free White Bread is soft and perfect for sandwiches without toasting. Strong enough to stand up to chunky peanut butter sandwiches and great for any sandwich you can think of. It is whole grain and an excellent source of fiber. While the 7 Ancient Grains, Great Seed and White Bread may be our most popular gluten free bread flavors, we’d be remiss in not mentioning these tasty choices as well! Our Cinnamon Raisin Bread is moist and delivers great cinnamon taste and an abundance of soft raisins. Max Omega is a delicious bread made with whole grains and 5 healthy seeds that are naturally rich in Omega 3 ALA. Makes a great sandwich without toasting. But, toasting really enhances the flavor of the seeds. Our light Rye style bread is made with whole grains and is also an excellent source of fiber. It adds the final touch to a Rueben, Pastrami or Ham sandwich with or without toasting. It gives you that great Rye taste you’ve been missing. So, if you’re still asking yourself, “what’s the best gluten free bread?” we hope our breakdown of choices has helped. Find more great reviews for the best gluten free bread when you visit our Facebook page.